Spain were crowned world champions for the first time in their history after Andres Iniesta's late strike broke Holland hearts in the World Cup final at Soccer City. The Barcelona midfielder struck four minutes before the end of extra time when he latched onto a Cesc Fabregas pass and volleyed past Maarten Stekelenburg. 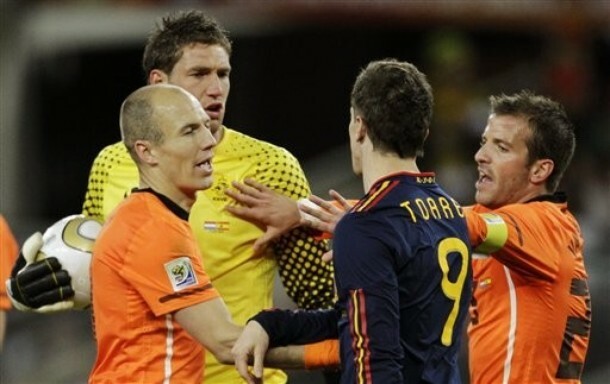 It came after John Heitinga was sent off for the Dutch six minutes earlier after receiving a second yellow card.